We'll help you choose the best online backup service. 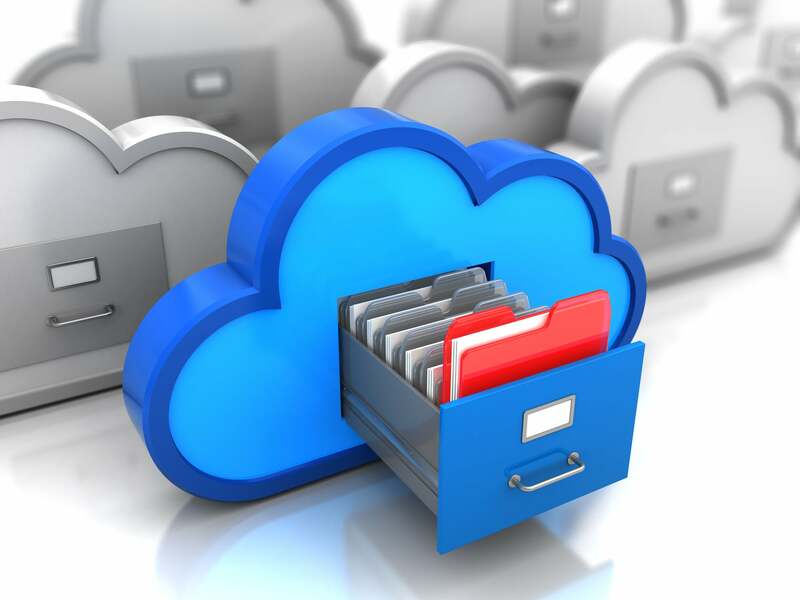 Online backup is an essential hedge against physical data disaster. Whether it’s an act of theft or an act of God (earthquakes, floods, hard-drive devouring locusts), you never know what could hit your PC or phone, and when. This is especially important for mobile-centric users, who stand to lose a lot of digital stuff if their device disappears. Uploading your data to an online service covers a lot of the bases. Some people call these “cloud” services, but in reality, your data is stored on servers at the other end of the connection—that is, someone else’s hard drives. But that’s part of the plan! The backup Rule of Three says you should maintain three copies of your data: the original, a copy, and a copy of the copy. One copy should be in a safe place away from the original and secondary. We always recommend keeping a local backup for quick restores (see our backup software roundup for desktop solutions), but online can actually serve as both the second and third copies—assuming the vendor keeps its servers backed up, or adequately redundant. We’ve reviewed the major online backup services and picked the best below—and we’ll keep updating our reviews as services come and go (RIP CrashPlan!). Our primary concern here is backup, but we will note other roles that a service can fulfill, whether to share it with others or have it handy when working from multiple devices or varied locations. All the services we tested work well, so feel free to kick the tires and pick the one that suits your fancy. That said, there are some obvious best choices depending on what your needs are. Editor's note: Last updated April 24, 2018 to include CloudBerry Backup in our list of reviewed services. There’s no more complete online backup storage service than iDrive. And though it’s not the cheapest, it’s still affordable and comes with backup clients for nearly every PC and device, including Windows Phone—a rarity these days. The company also provides additional storage for syncing all your devices and PCs, allows sharing of files with anyone, and has the ability to back up to a local drive. iDrive has two personal plans that cover one user with unlimited computers and devices: $69.50 a year for 2.5TB, and $99.50 a year for 5TB. Business plans allow unlimited users and computers, but significantly less storage per dollar, starting at $99.50 for 250GB. For all the details, read our full review of iDrive. If you’re not sure what you want to back up, or where it is, or just don’t want the pressure of trying to figure it all out—Backblaze is the online backup service you want. It offers unlimited storage, and backs up everything except items you explicitly exclude. Given all that, it’s ridiculously inexpensive compared to the competition: $5 a month, $50 a year, or $95 for two years for unlimited storage. Per PC. That’s it. It’s the same for business PCs. Read our full review of Backblaze for more details. Carbonite is the best backup service for those who want constant, yet subtle feedback on the state of their backup. Integrating data selection and status into the operating system's context menus and icons is a stroke of genius. We also appreciate the simple scheduling. A bit pricey, but good stuff always is. Carbonite Online backup is, in its own way, as simple as Backblaze. The only real difference is that Carbonite doesn’t back up everything by default. It selects what it thinks you need to back up, then leaves the rest up to you. It’s pretty successful selecting data if you use the standard locations (My Documents, etc. ), so most users won’t need to provide additional input. The price of elegance is a little steeper: Basic online-only backup is $60 for one computer for one year, $114 for two years, and $162 for three years. If you want the ability to duplicate the backup to a local hard drive and back up videos, then you’re talking $75, $190, and $270, respectively. If you want the ability to retrieve your data via a hard drive couriered to you (much faster than downloading when there’s a lot of data), the rates rise to $150, $285, and $405, respectively. To find out why it’s worth the money, read our full review of Carbonite. Features: As we mentioned previously, in addition to backup, you may want to share your files with others, work with them from mobile devices, or even edit them with office applications such as those available with Dropbox, Google, and OneDrive. If you do intend to work online, we recommend that you maintain a local copy as backup, and a hedge against Internet downtime. OS and device support: Most services provide client backup software for the major operating systems (Linux, OS X, and Windows) and both Android and iOS. Make sure the service you sign up for supports your entire panoply of computers and devices. Note: iDrive even supports Windows Phone. Reliability: Generally speaking, data centers are backed up to the hilt, and some of the larger ones even back up to different geographical locations. Availability (hopefully 24/7) can also be important. Check for news of outages and the vendor’s own service blogs. If there are too many outages in service, buy accordingly. In truth, all the services we’re aware of are near-100% reliable. Speed: Speed in many cases is far more dependent upon your broadband connection than that of the online service, though the geographical location of the storage and the equipment in between can make a significant difference. Check the location of the data servers if speed is important to you. Or, just give the trial a whirl and see if you can live with it. As noted above, the performance of online backup services will vary wildly according to their location and the network equipment between you and the data depository. We installed the software and backed up the same 2GB data set to check for any major issues or glitches in the client software. These are noted in the reviews. It simply doesn't get an easier than Backblaze, which defaults to backing up everything on your PC—yes, everything. The fact that it's cheap and offers unlimited storage doesn't hurt, either. Other services may be more elegant or feature-laden, but Backblaze is an astonishingly good deal.